Imitation Casters best by test. As an independent field tester I have tried and tested virtually every artificial caster that has been released over the past decade. Some offer zero buoyancy, other look identical to the real thing and there have been some that I wouldn’t put within a million miles of my hook. No matter how many versions I’ve tested, I still haven’t been able to find an artificial caster that will out perform the Enterprise Tackle option. 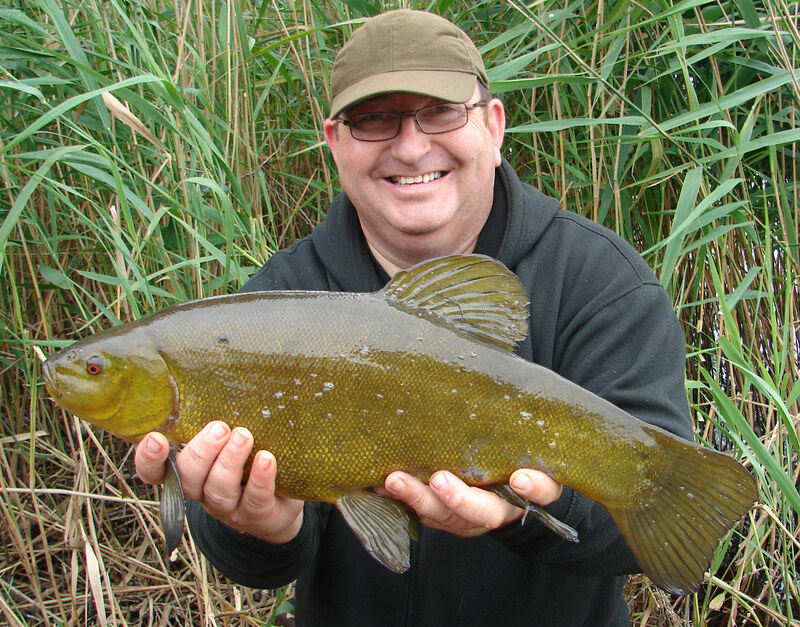 Over the years, they’ve put more tench on the bank for me than any other artificial or natural bait I have used. 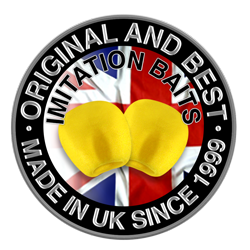 The buoyancy they give your presentation and the fact that there colouration is different from a natural caster makes them stand out and I believe these are the two factors that have made this bait a permanent part of my specialist bait selection. Top Tip – Try presenting two or three artificial casters on a hair rig using fine braided hook links. 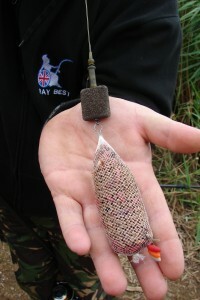 I fish this helicopter style and attach a PVA sock full of casters maggots (both dead and alive) with mixed micro and 4mm pellet. 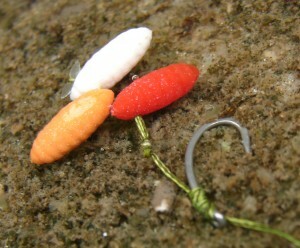 Once attached to the bottom of my rig, place my hook in the base of the sock to keep everything tangle free on the cast. This has proven to be one of the most devastating methods I have found when targeting tench during the summer months.